In Square Dorchester in Centre Ville, Montreal in Quebec, Canada, a statue of Robert Burns, a world renown poet and lyricist, is on exhibit. Robert Burns was a great Scottish poet and lyricist who lived from 1759-1796 and is known throughout the world. On January 25th each year a Burns Night is held in his memory and special suppers take place in thousands of different locations around the world. In Square Dorchester in Center Ville, Montreal city in Quebec this statue is displayed to honor his memory and life's work. Robert Burns monument in Square Dorchester in Centre Ville, Montreal, Quebec, Canada. 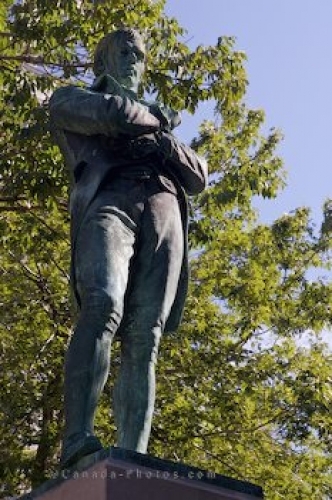 Picture of a statue of Robert Burns in Square Dorchester in Montreal, Quebec in Canada.